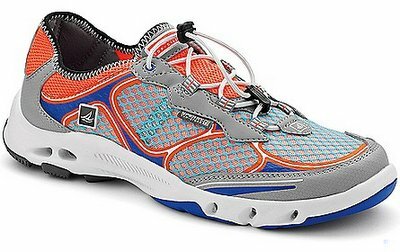 These trendy and amphibious shoes boast an ultra-lightweight design featuring Adaptive Wave-Siping technology. Innovatively designed internal water-channels ensure that any excess water is squeezed out from the shoes, leaving your feet dry and comfortable after a river run. So you can continue kayaking, surfing, swimming or hiking without having to worry about packing an extra pair of shoes to keep your feet dry. The H2O Escape Bungee Sneakers are the perfect accessory for summer. Weighing just 5.6 ounces, these shoes are built with quick-drying upper mesh material and inner lining. 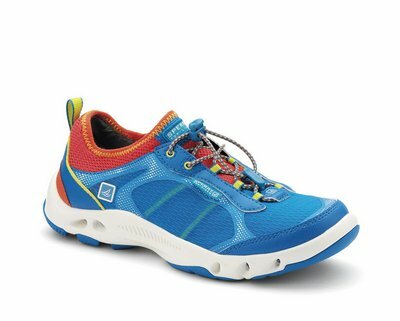 Wearing these shoes, you can fearlessly go kayaking, river rafting, jet skiing, SUP-ing, boating, hiking along the river and a dozen other possibilities. Brightly colored bungee cords not only dazzle but also ensure that the shoes can be easily slipped on or off. The bungee also helps securely fasten the shoes onto your feet, so even if you’re caught by a wave when surfing or knocked over when balancing on your paddle, rest assured that these shoes will keep your feet well protected. 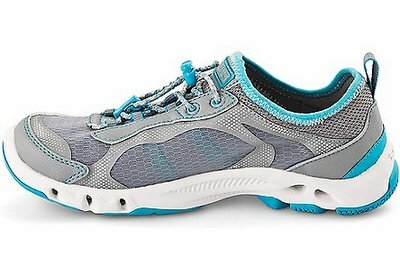 I’ve worn the H2O Escape Bungee Sneakers several times now and found them to be ultra comfortable and lightweight. They fit snugly onto my feet and the breathable material keeps my feet cool and dry even on hot summer days. If they get wet, the shoes dry super fast so you won’t have to worry about dragging your feet around in damp shoes. I love the flexible sole with sturdy raised treads which provide a solid grip on wet slippery surfaces. The H2O Escape Bungee Sneakers are a must-have accessory this summer. The Women’s shoes come in 3 vibrant colors – Fuchsia, Gray and Blue. The Women’s sizes run from 6-10 and are true to size, although you can go a half-size bigger if you like your shoes a bit roomier. The Men’s shoes come in a wide color palette. To order your Womens H2O Escape Bungee Sneakers, click here. To order your Men’s H2O Escape Bungee Sneakers, click here. For more on all products by Sperry Top-Sider, click here. 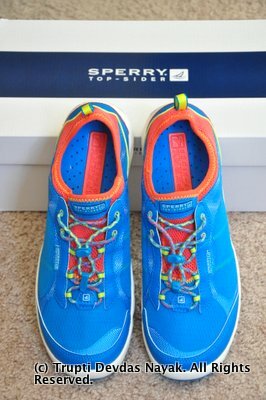 Disclosure: Sperry Top-Sider provided for my H2O Escape Bungee Sneakers in exchange for writing about my experience. Regardless, everything I have said in this post reflects my honest observations and opinions. This entry was posted in Footwear, Gear Reviews by Trupti Devdas Nayak. Bookmark the permalink. Trupti Devdas Nayak is a travel writer and photographer who is passionate about everything outdoors, whether it’s road trips, hiking, camping or just relaxing amidst nature. Her greatest joy is when she combines writing and travel to craft a story that is both compelling and evocative. Among other things, Trupti has trekked the Inca trail to Machu Picchu, hiked into the depths of the Amazon rainforest, backpacked the Havasupai trail in the Grand Canyon, and explored 30+ National Parks around the world and counting. She writes about her travel adventures at Trailbound and Exploring The Blue Marble. Read Trupti's blogs at http://wanderlustandlipstick.com/blogs/trailbound and http://exploringthebluemarble.wordpress.com.